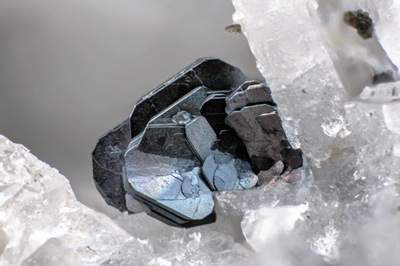 Rosette-like aggregate of tabular crystals of bluish-black hematite. In volcanic ejecta this form of aggregation, frequent elsewhere, is rather rare. Collection and photo: Gianfranco Ciccolini.